If you’ve heard of the Husten-Haskin house (mentioned in NYTimes + SF Chronicle), then you’ve heard of the architect behind the the Vital House prefab: Erin Vali of Ulterior Mode. 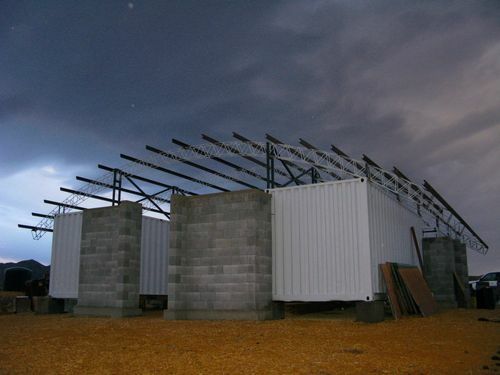 The Vital House is designed to be both economical (1,500 sq-ft. at $300,000) and eco-friendly. Practically speaking, the firm is Brooklyn-based, so this prefab design will serve the east coast, at least in the near short-term, but this four-bedroom model was designed to adapt to virtually any location. The prefab utilizes solar-power and passive heating during the winter (with double-height walls on the south + east orientation). It also has water-filled tanks placed on the south + east spaces, which absorb radiant energy and distribute it through the house. Interestingly, construction is raised slightly off the ground, which accommodates both flat and sloped land sites. 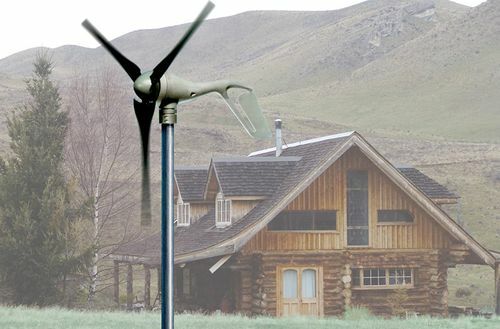 Another benefit of raised construction is that wind + air can cool the home. Some of the other specifics on the Vital House are still in flux, but I think this is a good start. This is a building I saw first on Archidose. Since the website project description is in Dutch, it’s hard to get specific information on this building, but I’ll share what I’ve been able to get translated. Urban Cactus is a project of the Rotterdam-based architectural office UCX Architects, founded by Ben Huygen + Jasper Jagers. It will have 98 residential units on 19 floors, and because the project abuts the harbor, the architects chose to give the building a more green, natural feel (rather than the urban feel common to neighboring architecture). I’m thinking that this layout provides an interesting mixture of sunlight + shade with the perfect amount of green space that is usually lacking in most vertical high-rise buildings. Sustainable business entrepreneurship requires sophisticated financiers, so I wanted to let the Jetson Green readers know about an innovative, newly-founded banking institution called "New Resource Bank." They are "financing sustainable resources in [their] community." The bank was started by a group of entrepreneurs with expertise in the banking industry, and their start-up story is revealing: 240 founding shareholders subscribed to $24.75 M of the bank’s stock offering, and the community backed it as well bringing the initial subscription amount to $35 M–that’s a 60% over-subscription. This made it one of the largest initial capitalizations for a start-up bank in Northern California. Talk about suppressed demand for sustainably-minded banking institutions and investments! They are all about green. The bricks + mortar bank was certified LEED-CI Gold. Plus, they announced an alliance with SunPower Corp. (company that manufactures high-efficiency solar cells and panels) to provide one-step financing of residential solar energy installations. Under the program, customers work out a home-equity type loan that allows monthly payments on the solar installation while they save money on their electricity bills. Factoring in governmental incentives, and if there are local incentives, you could end up with a mad case of energy and financial independence. Typical financing is for 25 years on a system ranging from $20,000-40,000 (before federal, state, + local incentives). If you’re a Californian, after the Governator’s program kicks in, there should be no reason not to go solar. Tip via GreenBiz. I’ve used the analogy before, but living the green life is similar to using web widgets–you try one out, figure out how it works, and start to enjoy the benefits of that new widget’s functionality. How about trying the green artwork widget? Artwork can be green, too. Depending on what you’re looking for, you may want to hunt down FSC-certified wood frames or commission your favorite artist and have the piece done with eco-friendly paints. Get creative and find a way to make your art green (i.e., use water-based paints as opposed to oil, etc.). OR…you could also buy some of Campbell Laird‘s work. Laird is a popular, Tasmanian-born musician + artist who has produced art for heavy-hitters such as Dwell, New York Times, Washington Post, Los Angeles Times, Entertainment Weekly, Trump Tower, Money, Smart Money, Macy’s, American Express, PeopleSoft, Adobe, Quest, and the Wall Street Journal. He has a serious web presence and a studio in Venice, California, if you’re in the area and want to check out the work. According to Laird, his work "explores the structural relationships between line, shape and color…my aim is to create simple, meditative works that fit naturally in modern environments." Here’s the process: each piece is printed on either 20 ml artist’s cotton canvas or 310 gsm watercolor paper. Laird uses high-quality, pigment-based inks with an archival rating of over 150 years. Each piece is proofed, signed, numbered (up to 125), and sent out with a certificate of authenticity. No solvents are used in the process from the ink to the final finish. Ogle at :: 2modern. Recently, I blogged about Jennifer Siegal and Office of Mobile Design (OMD) and wanted follow up because I found this video of her Venice, California show house. It’s a short, 2-minute video packed with modern + green information and mentions the following products: Japanese recycled grass board called "Kirei" (Japanese for pretty or beautiful), radiant heating ceiling panels called "People Heaters," the in-wall iPod sound system called iPort, energy-efficient appliances by Sub-zero, a tank-less water heater, and industrial-grade flooring in the bathroom to withstand heavy use. 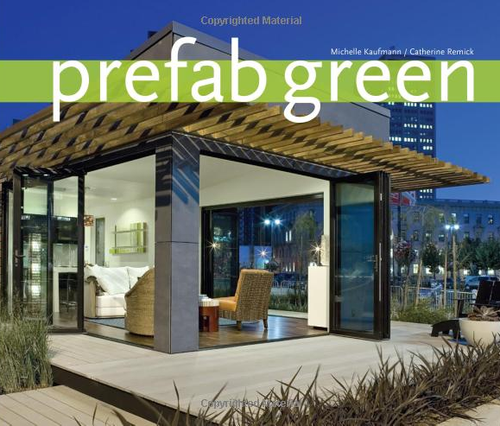 Take a look at some of these products if you’re doing a renovation and enjoy the video if you’re interested in modern + green prefab.